This tutorial is about SSRS 2012 Interview Questions and Answers.Here we will discuss the most frequently asked interview questions about sql server reporting services. 1. What are data regions? 2. You want to generate a report that is formatted as a chart. Can you use the Report Wizard to create such a report? 3. You want to use BIDS to deploy a report to a different server than the one you chose in the Report Wizard. How can you change the server URL? 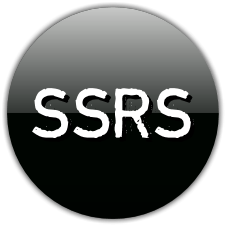 4.What are the three SSRS command-line utilities and their primary functions? 5. Can you always create a cache of a report? 6. Can you edit the .rdl code associated with a linked report? 7.What is reporting lifecycle ? 8. What are the new features are introduced in SQL Server 2012 reporting services? 9.what is ReportServer and ReportServerTempDB ? Reporting Services uses two SQL Server databases for storage by default, the databases are named ReportServer and ReportServerTempdb. 10.What is encryption key ? Very good explanation and important questions. I am just love to have top phone interview questions becuase i have my job interviews and i really need that sheet.